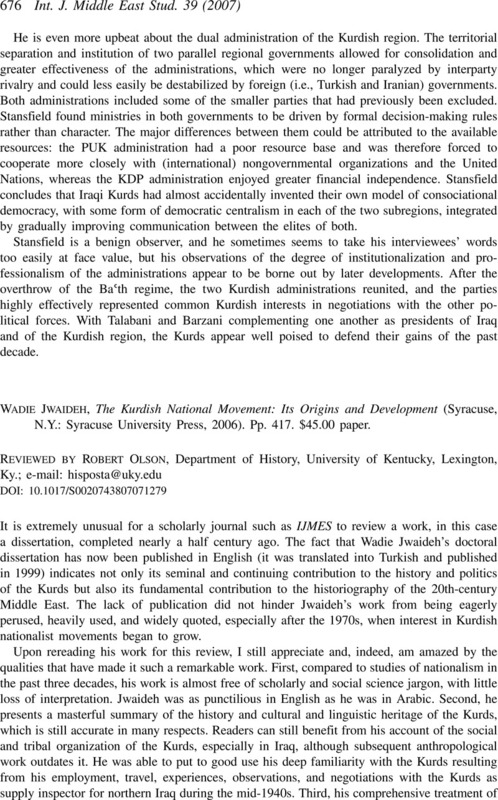 WADIE JWAIDEH The Kurdish National Movement: Its Origins and Development (Syracuse, N.Y.: Syracuse University Press, 2006). Pp. 417. $45.00 paper.